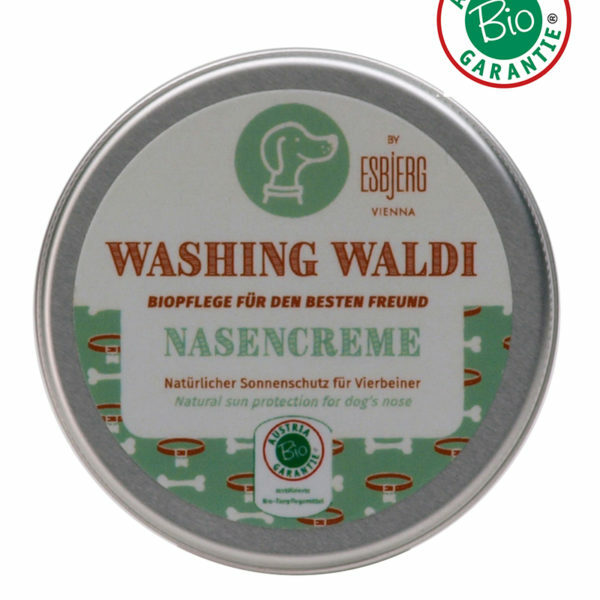 The organic nose cream is especially produced for the nasal bridge of dogs with a light fur tone, due to their higher susceptibility of catching a sunburn. No perfume was added, in order to prevent overstress to the sensible dog nose. 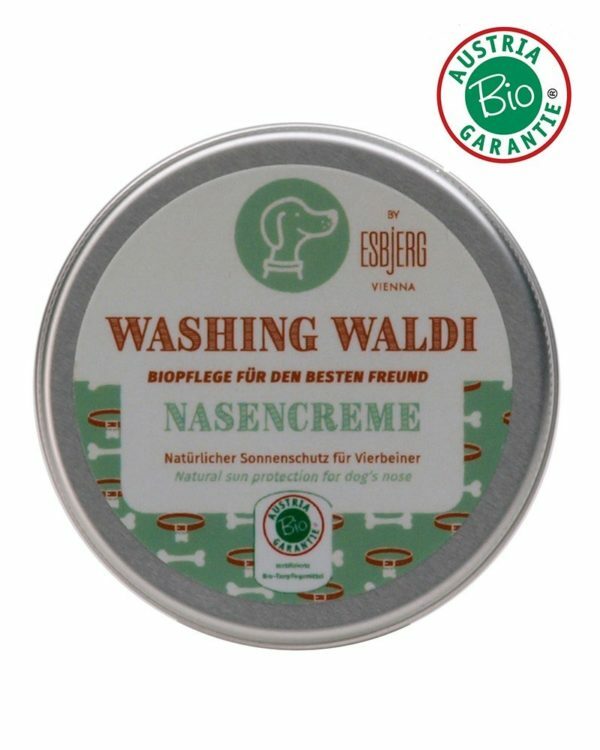 The organic nose cream does not contain any chemical UV-filters, but rather a sun-protective-ingredient complex, which origins in natural cosmetics, which was designed for humankind. · Organic aloe vera gel hydrates and functions antiseptically, antibacterial, antiviral and antifungal. · Organic -almond oil, -sunflower oil and – apricot stone oil keep the skin soft. The organic nose cream has a UV-protection factor of 20 and should be lightly applied on the nasal bridge before every trip outside. When it is evenly massaged into the skin, the white cream effect fades away. The product works physically and not chemically, reflecting the UV-rays. Duration of action: Up to three hours. Please reapply after contact with water.